Brochures serve as a branding and marketing tool. Brochures are a multipurpose tool; they can be used for party invitations, new shop openings, promoting a brand or a company, etc. Party brochures are an easy and effective way to invite local audience for a party or an event. Party brochures should include essential details, such as what events are going to take place on the party, date, time and location of the party and about the audience that can attend it. You can also see Environmental Brochures. 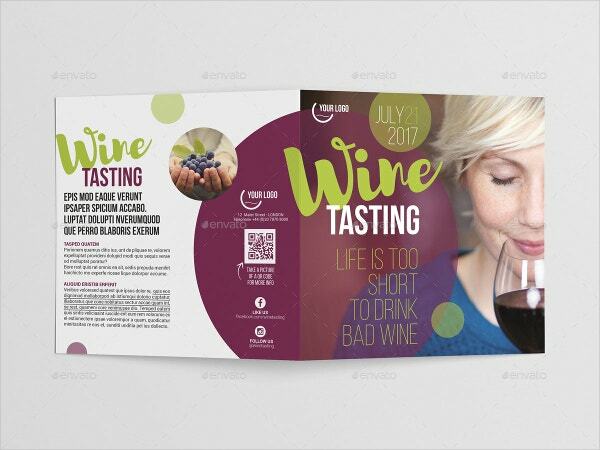 This bi-folded brochure is perfect for promoting an upcoming wine tasting event and comes in 210×297 mm asymmetric fold. You can change the text and customize these brochures as per your requirements. This modern catalog is available in A5 size i.e. 210mm x 148mm with 3mm bleeds. It has CMYK mode with 48 colors palletes. This brochure is easy to customize and has 300 dpi resolutions. 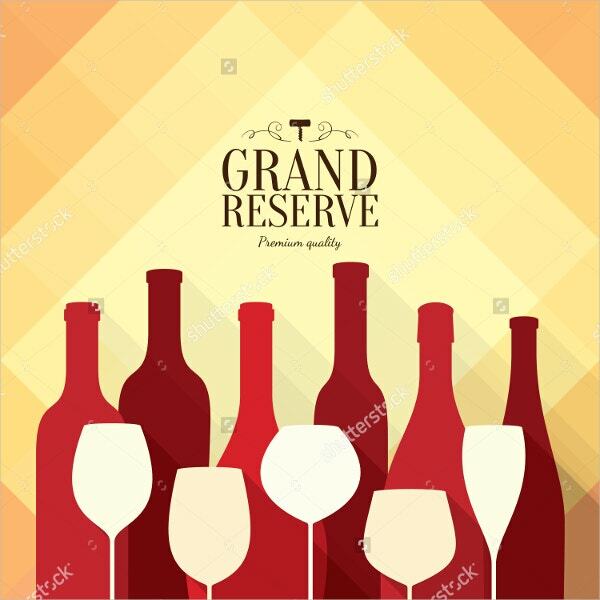 This designed flyer can be used as wine cards for restaurants. The design is easy to change and customize and you can change or add the text and color as per your wish. 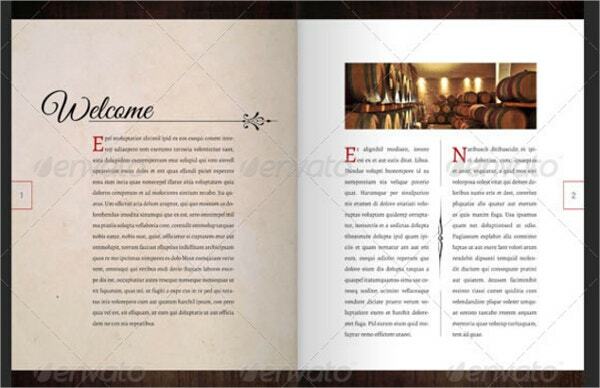 This brochure template is a vintage style wine house brochure catalog. Its clean and simple design gives it a professional and chic look. This catalog is available in A4 size with 3mm bleed and 300dpi resolution. This is a catalog brochure for wineries. 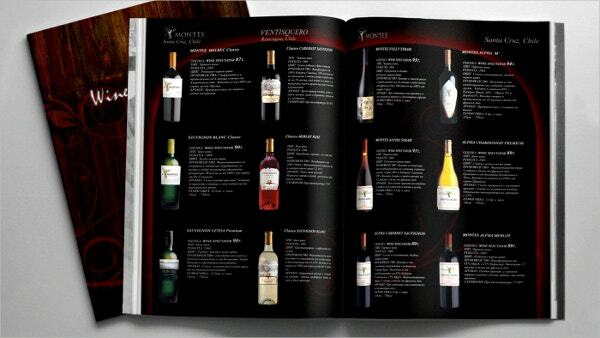 This catalog contains the details about the winery and the type of wines they have. The catalog is in vintage style with a red background. 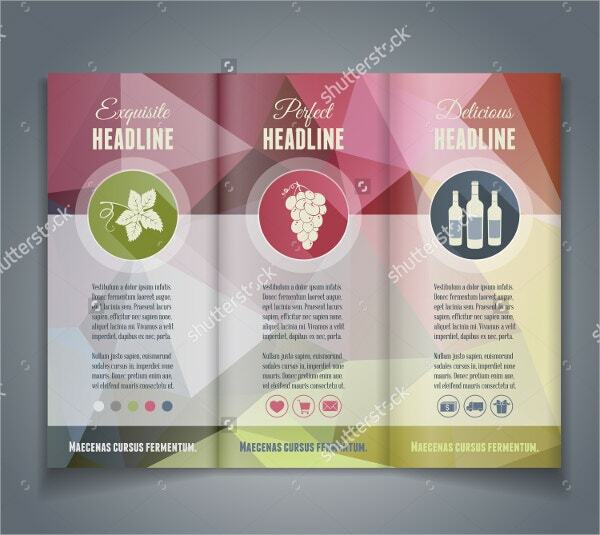 This is a vector brochure or flyer template with tri fold. This template contains a colorful geometric triangle background. It is available in high-resolution and several sizes as per the requirement. You can also see Photography Brochures. This is a 16 page brochure with a simple design. The brochure has 210×297mm dimension with 5mm bleeds. It has CMYK color mode and 300dpi resolution. The brochure is made of well-organized layers which can be easily edited. 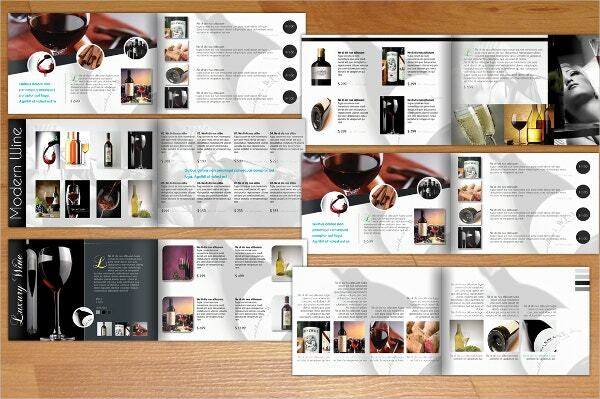 This is catalog for wines and spirits. 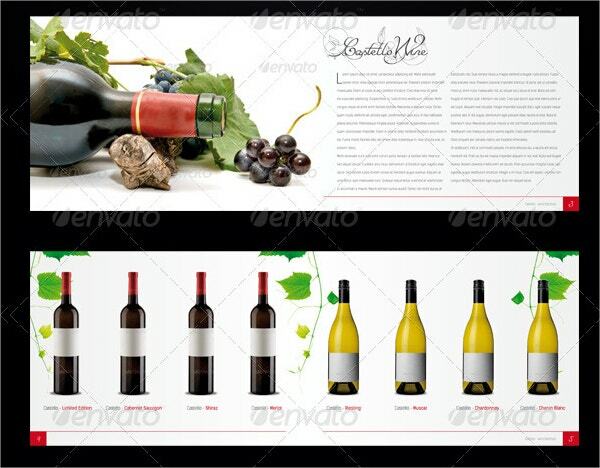 The catalog contains the detailed description of a list of different wines and spirits. It has a black background and the text in white. The text and photos can be changed as per the requirement. This is a bi-fold, square shaped and 4 page wine brochure. The dimension of the brochure is 210×210 mm with bleed 3 mm. 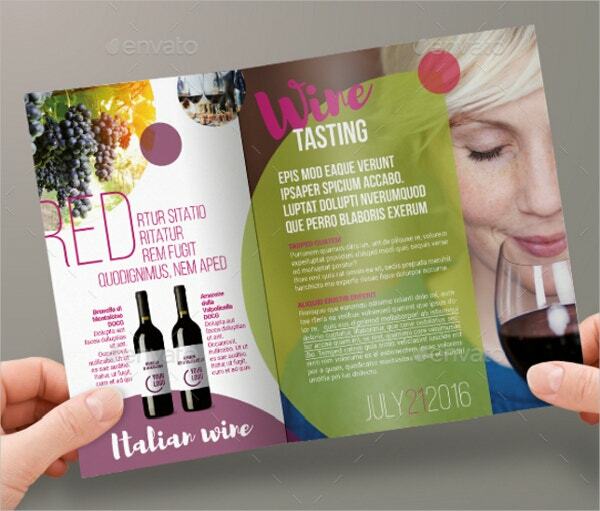 This modern style brochure has editable layers and is easy to use. 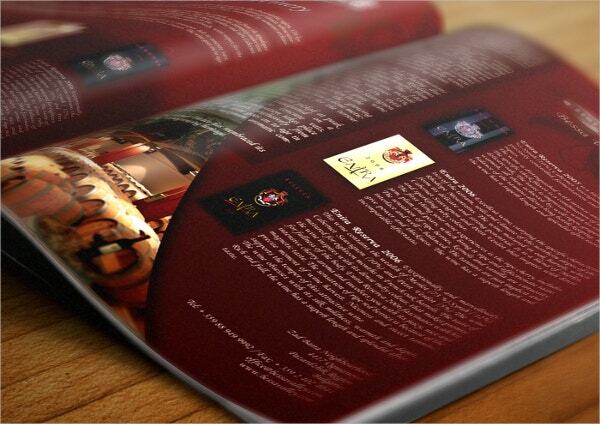 This is cellar note style annual brochure for wineries. 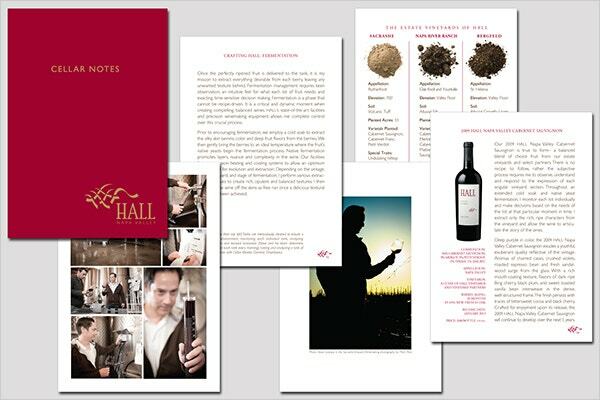 This brochure describes each wine that is to be released during coming year and about the activities that takes place in a vineyard and cellar. 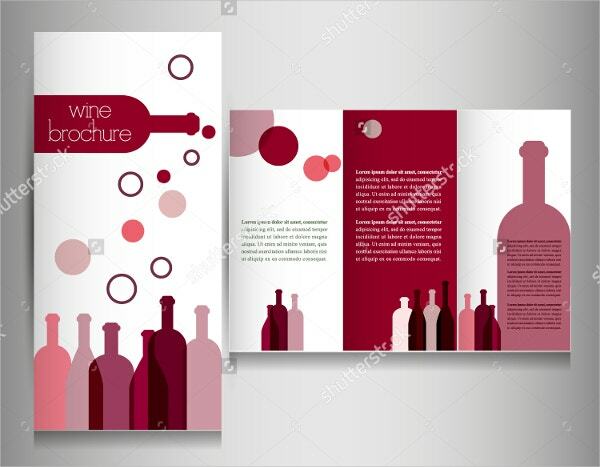 This is a short wine brochure and is generally used as a wine menu in restaurants, cafes and bars. 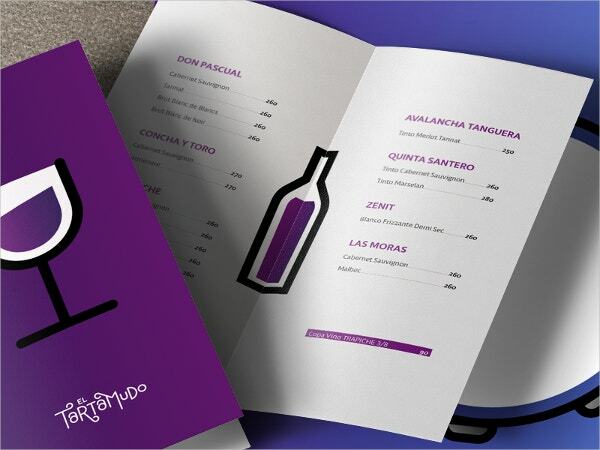 The brochure has an illustration of a wine glass and a bottle and consists of names and prices of the wines available. You can also see Bi Fold Brochure Template. 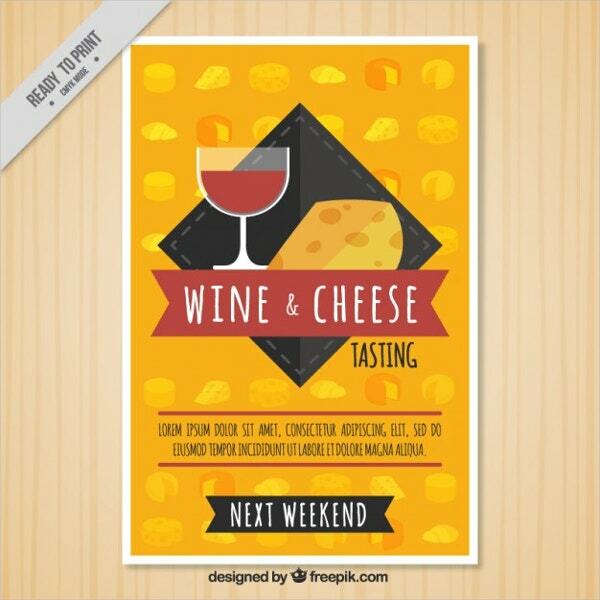 This wine and cheese brochure or flyer is an invitation for cheese and wine tasting. This brochure is available for free and is ready to be printed. The color mode used here is CMYK. 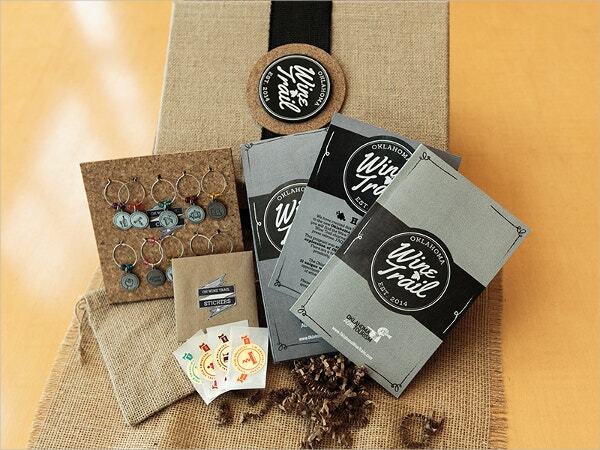 This is a kit is created to give the necessary products for wineries to participate in wine trails. 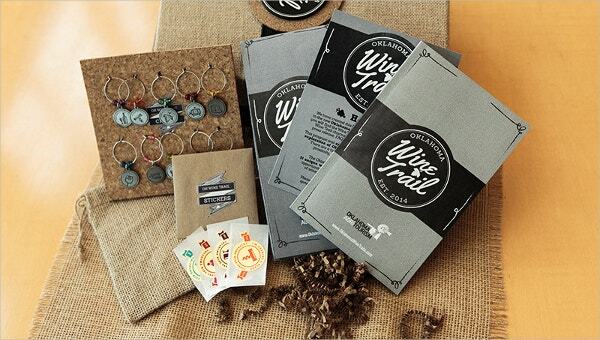 The kit includes products like charms, stickers, brochures and a map to navigate all the wineries. This modern style brochure contains 12, A4 landscape pages. Dimension of the brochure is 210×297 mm with bleeds 3 mm and it has 300dpi resolution and CMYK color mode. New pages can be easily added in the brochure. Brochure is a popular way to attract a local audience. 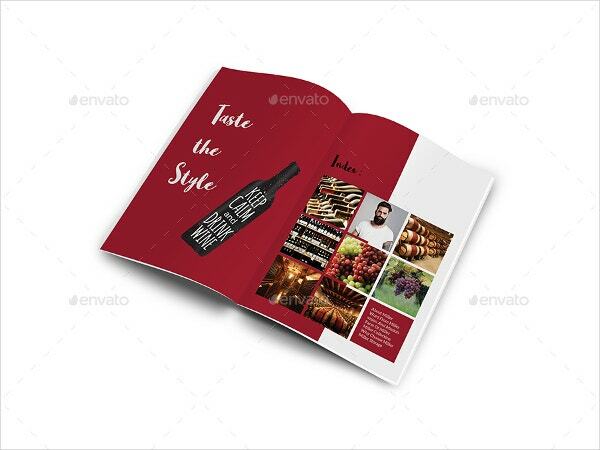 Food brochures are quite popular for promoting and marketing in food business. Brochure gives a first impression of a product or company. 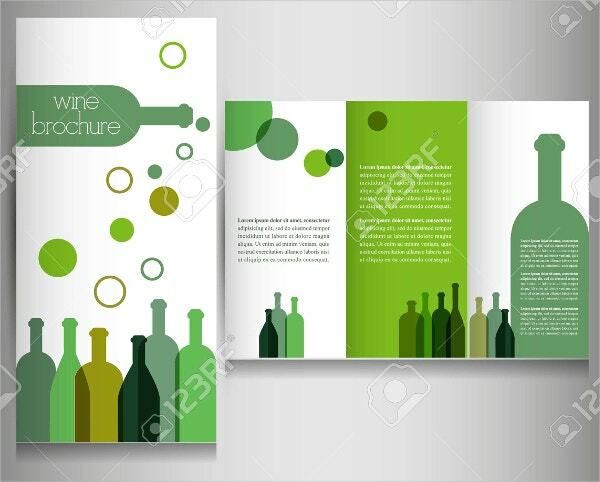 Therefore investing in an impressive brochure design is vital. A good brochure must be clear and attractive to the intended audience and should give the essence of the event or the company. You can also see Chocolate Brochures.